Material - 100% pure cotton with soft cotton ears. Print - High quality screen printed. 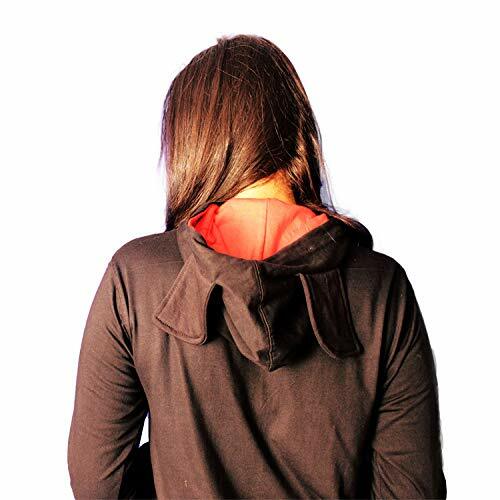 Women's black pullover hoodie with front red pouch pocket. A black and red hoodie that features a vibrant motif of a very happy Mickey. Front graphic is Mickey Mouse peeking out from the front pocket. Black and red color full sleeves pullover hoodie. cute mickey print on front side of the hoodie. It is light weight and 100% cotton fabric. Mickey pullover hoodie is very soft and comfortable. Specially designed for mickey lovers with love from INDIRAGE. 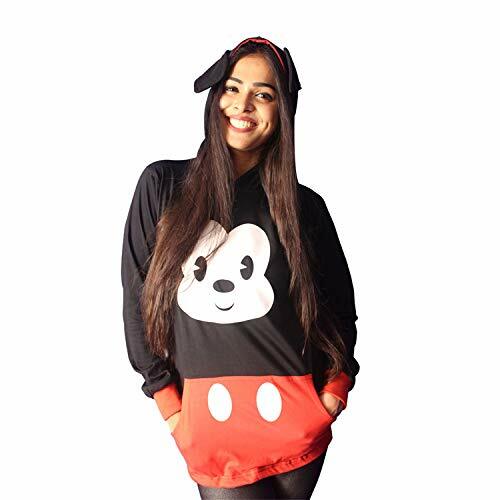 Buy Mickey Hoodie All Season Wear by INDIRAGE.